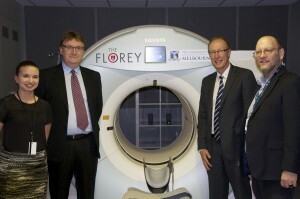 The Human PET/CT has been the key instrument in a large number of diverse research projects. PET scans can safely and non-invasively image and quantify a huge array of specific chemical processes in 3D inside the living body, detecting Alzheimer’s disease decades before symptoms occur or measuring the intracellular response to metal ion therapy in motor neurone disease or cancer. CT scans can examine the structure of the body (or other objects) in detail. Combined with PET we have access to a powerful translational research machine. We have had extensive experience with Human Amyloid PET/CT, CT of animal specimens, Human CT Cadaver, contrast use and CT of Rock samples, drug trials, and early and late phase diagnostic evaluation. The PET/CT has been used to evaluate new imaging drugs in early phase trials and has achieved 1st in the world publications with the high quality data showing subtle changes that have not been apparent in previous generations of research trials. 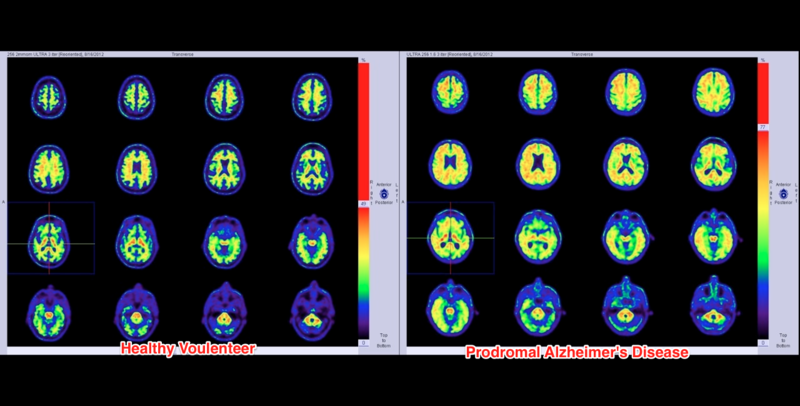 The instrument and associated fellows and partners from researchers in Melbourne have been essential in establishing world first studies such as the effects of traumatic brain injury and post-traumatic stress disorder on Alzheimer’s disease in Australian war veterans, Tau imaging with F-18 THK5117 in the Preclinical, Prodromal and Dementia Phases of Alzheimer’s Disease (as shown below). This work is funded by the US department of defence and several drug companies. Our PET/CT service has played the central role in establishing new therapeutics studies such as a TRx-237-015 trial of Leuco- methylthioninium bis(hydromethanesulfonate) in subjects with Mild to Moderate Alzheimer’s Disease. The AMARANTH Study is a 24-month, multi-center, randomized, double-blind, placebo-controlled, parallel-group, efficacy, safety, tolerability, biomarker, and pharmacokinetic study of AZD3293 in early Alzheimer’s Disease. 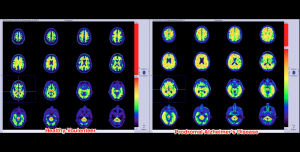 A4 florbetapir F18 PET brain imaging has been used for the NIH- sponsored study using anti-amyloid treatment in asymptomatic Alzheimer’s disease (A4 Study). The MK-8931 PN019 PET study is a Phase II/III study which will assess the safety and efficacy of the experimental drug MK-8931 compared with a placebo as a possible treatment for Alzheimer’s disease. CT scans have included work on animal cadavers, phenotypic evolution in the invasive cane toad, fossils, geology, animal robotics in sheep, and CT perfusion in humans.